Transportation by foot is a natural human trait. Other species make some attempt to do the same but it does appear to be a particularly hominid method of mobility to be bipedic. Together with complex hand usage, size of brain and development of language, it is one of the major contributions that made man (arguably) earth’s most successful species. No wonder, subconsciously, our feet have attracted so much attention in some way or another over the past million years or so. They are sensitive, so much so that the sensory cortex of our brain devotes a disproportionate degree of cells to monitor pain, pressure and sensation. Our minds have developed a high degree of attention to this part of the body. Innate psychology, unfortunately, comes into play and this importance is often disregarded. It may be of interest to highlight some examples of how humans use psychology to develop status symbols associated with the body. The crown worn by a Monarch, a mitre by a Bishop. Medals worn on a chest and badges of rank on the shoulders – not exactly hidden away. Likewise the humble foot is occasionally is deprived of comfort by inappropriate footwear, all in the name of status or as a slave to fashion – ask any chiropodist. When early man made the transition from an ape-like creature to what we recognise as Homo Erectus, the use of two feet as a method of movement over a flat terrain demonstrated his poor ability to adapt to bipedalism. 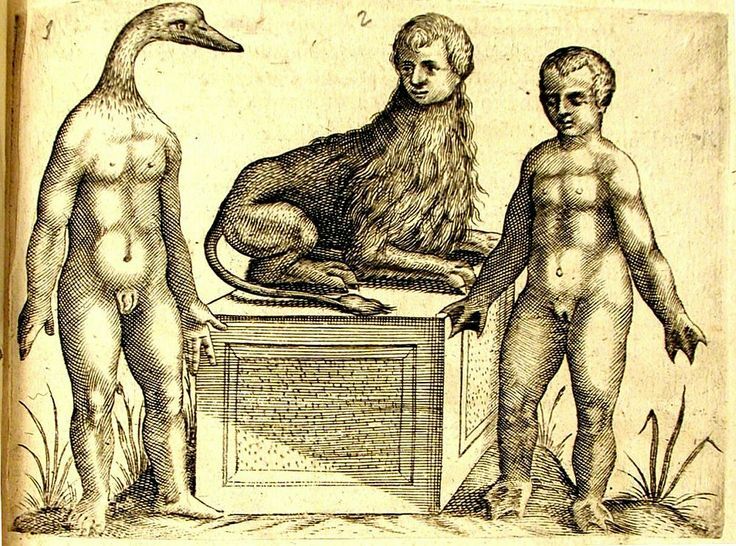 Evidence shows that since humans have stood erect, various weaknesses have begun to emerge. Early man’s body was not designed to stand upright. For thousands of years, as far back as Ancient Egypt, historical evidence seen in recovered scrolls and tomb paintings strongly suggests that people of that era suffered with foot conditions. As early as 2400BCE, the entrance to the tomb of Ankmahor, a once celebrated physician to the Egyptian Kings, shows pictorial reliefs of therapy on hands and feet. The entrance to a tomb often reflected the work of its occupant, highlighting their status and why they should be revered in after-life. It seems, then, that Ankmahor was one of the first chiropodists to be recognised in antiquity, suggesting chiropodists, in some form or another, have been practising for thousands of years all due to foot evolution, disease, psychology and status. To get some idea how the need for chiropodists began, it is necessary to look at our evolutionary past by examining ape or chimpanzee behaviour. If a chimp is offered a large amount of food its innate nature is to gather as much as it can and transfer it to a safe place to eat as and when it can. A large load cannot easily be carried on all fours otherwise spillage would occur and the potential loss would mean, possibly, a threat to survival. By using bipedal movement, larger amounts of food can be transported over further distances easily. Humans followed the same evolutionary behaviour helping to ensure survival of the species. Perhaps a link connecting the ‘hunter’ and ‘gatherer’ instinct. It would be far easier to bring home a carcass on one’s shoulders to feed the family and ensure species survival, rather than to drag it on all fours. Foot anatomy had to change in order to facilitate successful bipedal movement. to show the differences in proportion of each. From original drawings by Mr Waterhouse Hawkins. Other changes became evident, particularly in the way human skeletal anatomy developed which has been shown in fossilised evidence of early hominids in Central Africa, in the so-called, ‘cradle’ of human civilisation. Bipedalism has advantages and disadvantages. The Savannah Hypothesis (Dart R.A., 1925), suggests that by standing upright early man could identify both prey and predators whilst searching over long grass. Think of how meerkats stand in their natural habitat. Also humans using both legs could wade through water so enabling increased access to water-borne foods and other areas to gather and hunt food. It has also been suggested that quadruped animals are more exposed to ‘overheating’. Computer studies show that standing humans deflect 60% of heat, particularly helped by developmental hair on the head and possibly by exposure to more breeze when upright. On the other hand bipeds find it more difficult to defecate cleanly. It requires manual dexterity to maintain hygiene but then at the same time, perhaps due to humans being able to use tools and plant matter for various tasks, this would have been a relatively minor obstacle to overcome. Secondly, and perhaps of more importance to the survival of the species, bipedalism limits the capacity to travel at speed in certain environments. Monkeys have the ability to travel through undergrowth and trees more rapidly than the cumbersome human but man has, over time, developed various technologies to surmount this disparity. Unfortunately there are few fossilised remains that give any idea as to how early humanoids started to take those first steps on two feet. The evidence we have suggests that development leading to humans placing one foot in front of another is the result of a gradual change of role of the hands and feet. One of the earliest fossilised descendants of humanoid form are the remains of ‘Lucy’ the Australopithecus afarensis found in Hadar, Ethiopia (3.3 million years old). This skeleton was discovered in what was once a forested area. It has curved feet and fingers to facilitate the grasping of branches for locomotion. However evidence shows that it had limited capacity for bipedalism. ‘Little foot’ Australopithecus Africans (only a collection of foot bones 3.5 million years old) suggests an adducted big toe and enough combined ankle development and strength to facilitate bipedal locomotion. Fossilised evidence of Sahelanthropus throws some light on the subject. Here fossilised bones (c 7 million years old) give some suggestion that this early, now extinct, form of human walked upright. This is demonstrated by fossilised remains of the cranial articulation with the spine showing the head at 180º to the cervical vertebrae. Evolution of the foot was also necessary. Millions of years ago the ‘ape-like’ foot started to change. We know that the more a muscle is used the larger it gets (Morton 1935). Like brain connections, used frequently it becomes stronger. Bones do the same and Murphy’s Law suggests the same process in tendons and ligaments.. Apes use their hands and feet to clamber in trees. It is to their best advantage. Once humans started to walk on two feet, they needed foot architecture to evolve in order to support themselves bipedally as the grappling foot/hand of a chimp-like human would not be appropriate. How did this happen? The great toe is the mainstay of modern forefoot mechanism for ‘stepping off’ in bipedalism. During evolution each tentative step generated the gradual deposition of osseous tissue which led to the development of the great toe. Early human anatomy shows that through evolution the 1st Ray, particularly for the first metatarsal joint, allowed stabilisation of propulsion in an erect bipedal human. Lewis (1980a, 1989), has suggested that the evolving foot culminated with the 1st Ray adducting in line with the other toes. This is the most accepted theory at the time of writing. Evolution is a continuum that necessitates gradual change. It takes millions of years before a change is noticed. Other fossilised evidence can also be seen in 3.5 million year old footprints discovered in Northern Kenya in 1978. 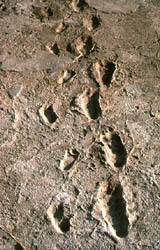 To date, this is the earliest known fossilised evidence of early human gait, known as the Laetoli footprints. Seventy fossilised prints show clearly the toe to heel movement, the human imprint of an upright stance (Leaky and Hay, 1979), identifying how man in Paleocene period walked. Mary Leaky also clearly demonstrated that Australopithecus afternisis walked upright in a bipedal posture with a shallow arch and a developed first hullux, more man than ape-like. Others have postulated alternative theories. Kidd (1999) looked at fossilised calcaneus, talus, cuboid and navicular bones 1.7 million years old. They all seemed humanoid in origin, perhaps suggesting lateral side of the foot diverged to the 1st ray, allowing tarsal flexibility to maintain stabilisation in bipedalism. Given the whole concept of Darwinism and evolution there is ample evidence to suggest that human foot structure has changed significantly, so allowing early man to walk successfully and enhance his chances of survival. Evolution, however, does not take place smoothly and the combination of bipedalism and human psyche brought with it a new set of problems. Here enters the chiropodist. Medicine is work of the Gods. Or it was until the advent of science. Science means an organised body on the study of a subject. At one time there was no clear boundary between truth and medicine. Myth pervaded true understanding, muddying the waters of explanation of disease and its causation. In ancient history the application of various medicaments was commonplace. Also cutting away (surgical resection) was believed to be a way of eliminating demons and unwanted spirits, and the mainstay of medical treatment. 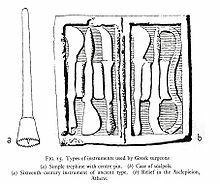 Trephining to eliminate unwanted thoughts from the mind, scarification to relieve the pain and itch of eczema had both been used since neolithic times. Drastic remedies with potentially fatal results. What then, if the early surgical interventionist is faced with a painful condition of the foot? Already we know that the foot occupies a disproportionate area in the atlas of sensitivity in the sensory cortex of the brain. So much so as to require the development of a skilled practitioner dedicated to relieve disorders of that region of the body. Musculoskeletal conditions such as rheumatoid arthritis have been documented throughout history. The Egyptians certainly recorded it. The introduction of footwear, particularly in the cooler Northern hemispheres, would probably have also caused corns and callous exacerbated by various foot conditions. Later in more modern times these problems would be exacerbated, especially when footwear became associated with status and fashion and not essentially for comfort and practicality. Nowadays there is the additional factor of age-related foot disorders as man’s life expectancy increases. 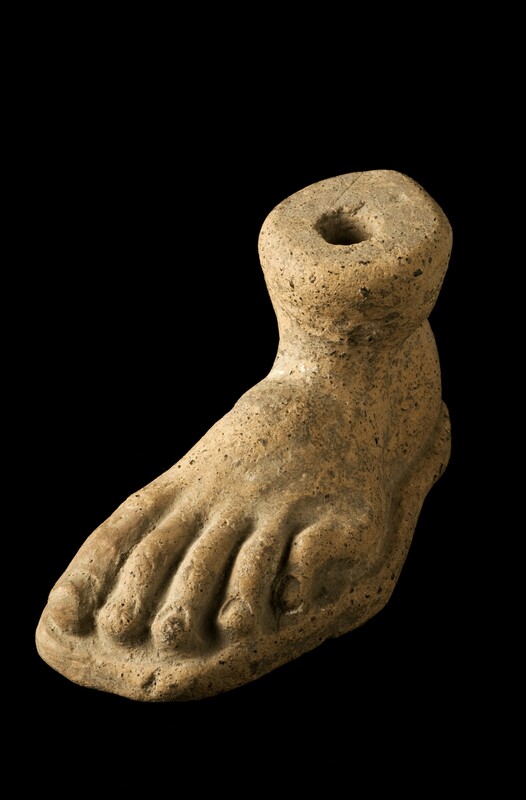 Foot conditions were often the subject of medical writing in ancient history. The ”father of medicine, Hippocrates (460BCE – 370BCE), invented scrapers to reduce hard skin and callous. His original scalpels are much like those used today (see illustration below). Paul of Aegina ( AD 615 – 690) defined a corn as being a ‘white circular body like the head of a nail, forming in all parts of the body, but more especially on the soles of the feet and toes.’ He removed corns and callous with scalpels or by rubbing with pumice. There is even some suggestion that Aulus Cornelius Celcus, a Roman physician gave the name to what we now know as ‘corns’. I said that the cure itself is a certain leaf, but in addition to the drug, there is a certain charm, which if someone chants when he makes use of it, the medicine altogether restores him to health, but without the charm there is no profit from the leaf. Perhaps an early account of the placebo effect. The Roman mindset was to view disease as a spiritual affliction which was susceptible to incantations. For instance, Varro’s (116 – 27 BCE) cure for painful feet was to touch the ground and spit on it, followed by the words ‘earth take the pest to thee, health tarry here with me!’ The patient would be fasting while he chanted these words ‘thrice nine times’ the pain would go into the ground. Another common way to promote healing was to offer ‘votives’, anatomical terracotta models offered to the Gods, most notably Diana, the goddess of fecundity, childbirth and health. Many votives were found near Nemi, not far from Rome. Here a temple stood for pilgrims to attend. Dating from the 4th century BCE models of heads, pairs of eyes, uteri, phalli, breasts and hands and feet were found. Full human couples were also discovered, many depicting a pregnant female. Painful conditions of the feet needed attention. Minor surgical intervention without any kind of anaesthesia, and in those times little concern for asepis, would have bestowed any competent practitioner some degree of respect and, of course, the possibility of charging a fee. It happened and was documented in history. During the reign of Henry VIII the ‘Quacks Act’ was introduced. This Act prevented the selling and administration of any substance used to alleviate outward sores and wounds. This included conditions associated with the foot. No wonder home cures began to be used by poor people. In the 16th Century these ranged from paste made from swine dung and ashes of charred willow (which is an important source of aspirin) to rubbing castor oil, vinegar or urine on corns and bunions. Even worse, people suffering from flat feet in medieval times could be ostracised, after all the devil was often depicted as having cloven feet. Foot deformities suggested demonic possession and could even lead to infanticide or a sentence of death. Time progressed, as did the English language. The term ‘Chiropody’ can be traced back to a practitioner of foot care who published a work in 1785 (Chiro [Greek -khier,hand] podos [foot] or Kheirpodes [Greek] chapped feet), (Dagnal 1983). David Low wrote ‘ Chiropodologia or a Scientific Enquiry into the Causes of Corns, Warts, Bunions and Other Painful or Offensive Cutaneous Excrescences.’ Low published his work after translating a 1781 French text by Nicholas-Laurent La Forest entitled ‘L’Art de Soignre les Pieds’ . Unfortunately it does seem that Low plagiarised the French work. will have a bout with you. Which of you will now deny to dance? she I’ll swear hath corns! Am I come near you now? Hot cordilines, pies and tarts. come buy my well fed and oysters ho! Maids have you any hair to sell? It appears that the services of a chiropodist became necessary to serve the aristocracy and the well-off. The Seventeenth Century saw the advent of ‘Corn-cutters’. Such practitioners became respectable, enough for one, John Hardman, to have his portrait painted by Caulfield in the 1700’s. A sure testament to his fame and fortune. 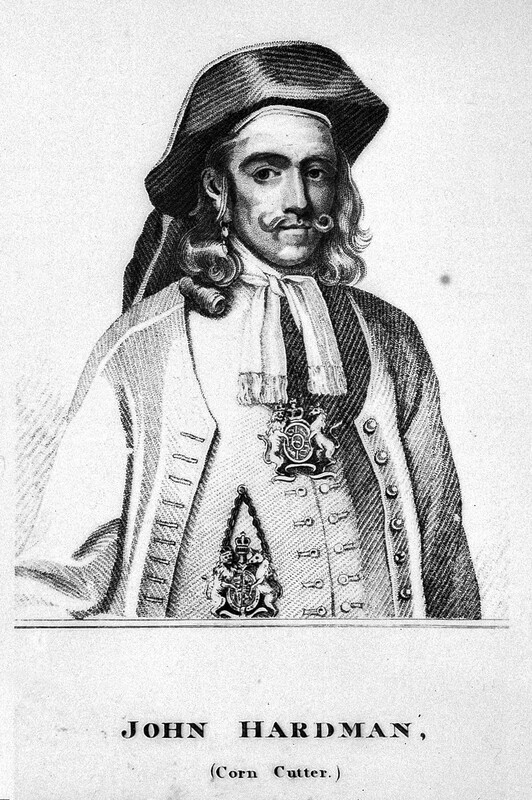 John Hardman became the chiropodist to the then King William of Orange. Respectability beckoned at his doorstep. 1734 saw other revelations. Reed’s Weekly Journal announced that ‘Mr March, a famous corn cutter became the nail cutter to His Royal Highness the Prince of Wales.’ An annual salary of 50 guineas.’ Other practitioners were charging up to 1 guinea for an individual treatment. A guinea in the mid 1700’s was worth £150 in today’s terms (2015). Corn cutter, or the preferred term corn operator, probably emerged as a professional title in the 1700’s. Certainly by 1750 such practitioners were being documented pictorially. Around 1750 an engraver by the name of Funney created an illustration of a corn cutter at work. The picture shows an early chiropodist complete with wig and spectacles and before him an array of surgical instruments. The mode of dress and the mere fact that such work was worthy of an illustration, suggests very strongly that this corn cutter was highly regarded. Through advertising and word of mouth, particularly in coffee and bathhouses, high society now welcomed a reputable practitioner to relieve them of their painful foot conditions. If it was good enough for the reigning monarch to have such a person in his employ, fashion dictated that everyone with money should follow suit. Yet still the profession was somewhat dogged by the fact that corn cutters could be seen plying their trade on street corners. Over the next fifty years or so the chiropody ‘street traders’ gradually disappeared and were replaced by more respectable practitioners. Now they worked from their own premises and even circulated business cards. In the 1800 London Kelly’s Directory there was one entry listing a chiropodist. By 1840 there were three and by 1880 forty such people registered themselves as practitioners, many offering other services, most notably tooth-pulling. Textbooks started to be written and published. Hyman Lion, a chiropodist in Edinburgh wrote a Treatise on Corns in 1802 and in 1845 Lewis Durlacher penned the first complete text describing the treatment and care of foot conditions. Hyman Lion was an enterprising practitioner and aspired to further himself to the pinnacle of his profession. He studied medicine at Edinburgh University and graduated with a distinction, his ultimate ambition being to practise as a doctor specialising in foot conditions – perhaps one of the first attempts by a chiropodist to gain acknowledgement from the medical profession. However, he was prevented by the fact that his first calling had been as a corn-cutter, an occupation not considered worthy of the attention of medical and surgical practitioners of the time. The first person to formally suggest that chiropodists should be regulated and their title protected was Lewis Durlacher, a London chiropodist in 1854. He was practitioner to George IV, William IV and Queen Victoria. He also attempted to establish ‘a dispensary for diseases incidental to feet … for the gratuitous treatment of the needy’ which, in 1913, would become the London Foot Hospital. Although he was unsuccessful in organising a regulatory body, he wrote various texts which were far ahead of their time. In particular his ‘Treatise on Corns, Bunions, the Diseases of Nails and the General Management of the Feet’ was considered a definitive work and used by chiropodists throughout England. Elsewhere, dignitaries in Europe employed their own chiropodists. The King of France had a personal chiropodist, as did Napoleon. Perhaps one of the most enterprising practitioners of the day was Isachar Zacharie, chiropodist to President Abraham Lincoln in the USA. It appears that Zacharie enjoyed the respect and confidence of the President, so much so that the he was asked to act as an unofficial emissary and travel to the south, in particular New Orleans, to help stabilise Jewish support and encourage Jewish loyalty to the Union. Zacharie carried out this onerous task, whilst at the same time still practising as a chiropodist. Whether it was an unwritten request or a misunderstanding, Zacharie managed to treat 15,000 civil war soldiers, their feet suffering the ravages of ill-fitting footwear. After the war he submitted a bill for $45,000 to the War Department which was not paid. He died in 1897 in England and was buried with other persons of note in Highgate Cemetery, London. The USA took the global lead in officially recognising chiropody as a profession requiring a collective representation when, in 1895, the Society of Chiropodists was founded in New York. Its first official Journal was published in 1907. Five years later in the United Kingdom, Ernest George Virgo Runting (1861-1954), a one-time chiropodist to Queen Alexandra and Queen Mary collaborated with Dr Arnold Whittaker of Oxford. Together, they formed the British Chiropodial Society in 1912. Runtling was a prolific author on the subject of chiropody. His works include ‘Battalion Chiropody’ (1918), ‘Chiropody Jottings’ (1932) and ‘Practical Chiropody’ (1937). In 1913 The Pedic Clinic was established in Bloomsbury, London. Here, premises were opened to treat the feet of the poor, it was even dedicated by the Bishop of Willesden, all treatment provided was free of charge. It was also hoped to provide training for aspiring chiropodists but with the advent of World War One this was delayed until 1919, when evening courses were offered on five nights a week. In 1924 the clinic was renamed The London Foot Hospital. 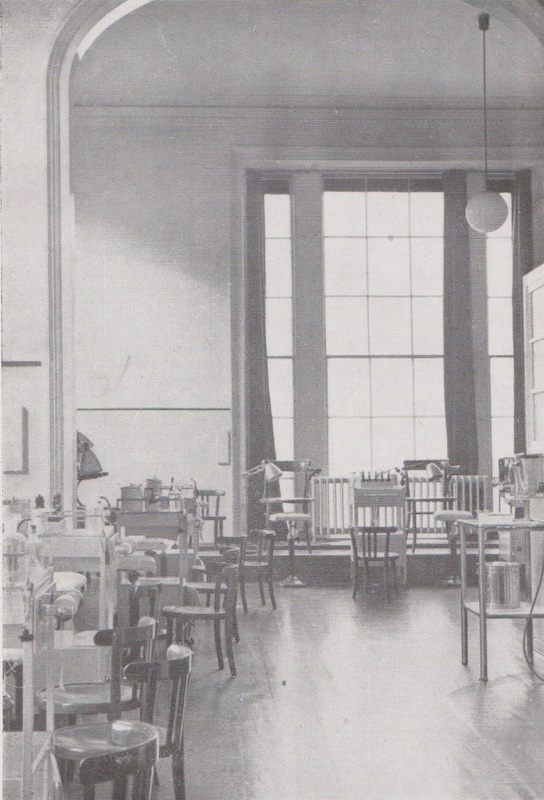 In 1940, during World War Two, the premises were bombed and the Hospital moved to Paddington. The advent of the National Health Service and further moves allowed the State system for training of chiropodists to be firmly established. In 2003, largely due to a dispute over funding of the hospital it was decided to close the establishment (Dagnal, 1988). So for a total of £62 along with a training fee for two years at £42 to £94 and 2 guineas for the examination, one could set up in practice. Annual earnings would be anticipated at between £200 to £400, (£6,000-£13,000 in 2014) the average treatment fees being 3/6d, 5/6d, 7/6d, (£6-£13 in 2014), with the addition of 33% for a domiciliary visit. Evolutionary evidence strongly suggests that man walking bipedally, living longer or squeezing feet into inappropriate footwear, has created the need for skilled professional intervention. This piece shows that while chiropody as a profession has only been represented by a professional body in the USA since 1895 and in the UK 1912, with the SMAE Institute being established in 1919, chiropodists/podiatrists have been practising for around 4,500 years. It would therefore seem that chiropody has a secure future. Cruse A. 2006. Roman Medicine. 117. Tempest Publishing, Great Britain. Cudworth CC. Circa 1945-1947. 12. Vawser & Wiles, London. Dagnal J C. 1983. A History of Chiropody-Podiatry and Foot Care. British Journal of Chiropody. 48:137-183. Dagnal J C. 1988. The London Foot Hospital. British Journal of Chiropody. 53: 185-199. Kidd R. 1999. Evolution of the Rear Foot. A Model of Adaptation with Evidence from the Fossil Record. Journal of Medical Podiatry. 89: 2-17. Leakey M D & Hay R L. 1979. Paleocene Footprints in the Leotolil Bed at Leatoli, Northern Tanzania. Nature. 278: 317-323. Lewis O J. 1980. The Joints of the Evolving Foot. Journal of Anatomy. 130: 833-837. Morton D J. 1935. The Human Foot. Its Evolution and Functional Disorder. Columbia University Press, New York. Cudworth CC. Circa 1945-1947. 32-33. Vawser & Wiles, London. This entry was posted in History and tagged A Brief History of Chiropody and Podiatry on January 18, 2015 .